Baseball International Series 2009 will become full grown come March of the 2009 season and the World Baseball Classic 2009. Will it always now and forever continue to be called the World Baseball Classic? It may very well be but it will still at this time in history be wrongly named for it is not a "Classic" but it is in reality a Baseball International Series 2009. Baseball lingo is used in many ways calling attention to events as they unfold on the ball diamond but misuse of the Queeens language to describe a once or twice event of baseball history as "Classic" is a stretch. Alexander Joy Cartwright Jr. would never in his wildest imagination have ever dreamed of just how far reaching his game of baseball would become. Cartwright and his chums enjoyed the evenings playing baseball across the river from New York in New Jersey but to think of having someone halfway around the world to come play? Well! that indeed would have stretched their imagination in that day and time. Soon we will be following the play of a Baseball International Series 2009. The American baseball game has now grown, blossomed and endured many crisis while becoming a sport and game International in scope. Baseball is now a World Class sport. The uniquely American baseball game has now taken Olympian steps forward and soon will be known as a Baseball International Series 2009. "By Golly Ms. Molly I Think This Baseball International Series 2009 Is Going To Be The Best Thing Since Sliced Bread." 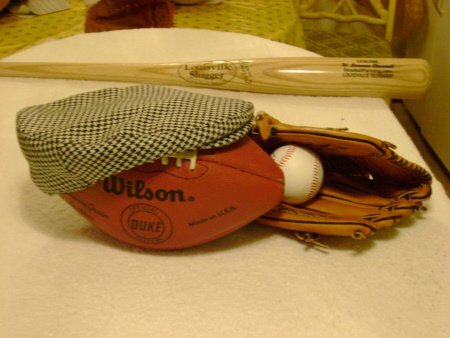 "Right Now It Is Being Called A Baseball Clasic, Go Figure"
Stay tuned for further information and data regards the soon coming Baseball International Series. I will be here making plans toward being a source for developing details on this World Class Baseball event. From the dusty roads of country byways where baseball found roots, we now are looking at a phenomenon of true grit baseball as a World Class Baseball International Series 2009. Boy howdy will the youngsters have a field day trying to scramble over the fences to get into such a well guarded pay to enter event. The potential fanfare and celebration of this rivalry causing happening which pits the very best baseball players from around the globe is mind boggling. Bring it on! Most of the us really die hard fans of baseball have known all along that American baseball had an enormous fan and player base in the Latin American countries. It just so happens that the rest of the World now is aboard this Baseball train. The countries in the Far East i.e All of the Pacific Rim Nations are virtually exploding with baseball fans and are developing World Class baseball players by the droves. Baseball International Series 2009 promoted by the United States Major League teams has now began its odyssey into the baseball world. Don't forget to stay tuned for developing action on Baseball's International Series 2009! The inaugural 2006 World Baseball Classic will be a Round Robin Tournament consisting of Pools (or leagues if you will) with teams of players representing their respective countries. There will be 4-Teams per Pool. The entire Series takes place during March 2006. Play will be Two (2) Rounds and culminating in the Finals on March 18 & 20, 2006 in San Diego, Ca. Round 1 Pools (Pool A, B, C,& D) i.e leagues Winners and Runner Ups will advance and play in Round 2 as Pool 1 & 2. Winners and Runner Ups (4-Teams) of Round 2 will meet in the Finals. Folks that about gets us up-to-date with this pending extravaganza of Baseball International Series 2009 pitting players representing their home countries in a Baseball World Classic. Well known player identification will be my next update. I would anticipate that we will gain some here-to-fore obscure names emerging as heroes and All Stars of the future from conclusion of this Series of Baseball games. Stay with me and updates will follow on happenings with Baseball's International Series 2009. Baseball's seven time Cy Young award winner Roger Clemons announces his plan to be one of the 30 man roster on the United States Team. To Roger I say Godspeed and Good Pitching to the swift goes the victory and No Guts No Glory.Clemons has the stuff that makes champions. A quick update on USA players with plans to play in this Baseball International Series 2009. In addition Roger "The Rocket" Clemons here are some more of our marque players. Johnny Damon, Ken Griffey Jr.,Derek Jeter, Chipper Jones, and others as I get data on players picked for the Team USA roster. Two (2) of the Jones boys have agreed to play ,they are Chipper and Todd. For many of the young beginning player I want to draw attention to two players that will be listed as switch hitters. A switch hitter bats both as a right handed or as a left handed hitter. Switch hitting is an art and technique few can master but it is well worth beginning players effort to become effective switch hitters. Keep our eyes on Jason Veritek and Randy Winn throughout this Series. Take a break I'll be back later with more hot scoop. Baseball International Series 2009 opens a brand new can of clamoring nations and nationalities vying for world supremacy in the sporting world. Here is the USA team roster for the Baseball International Series 2009 or as now dubbed the World Classic Game. Starting Pitchers Roger (The Rocket)Clemons, Jake Peavy, Dontrelle Willis, and CC Sabathia. Closing Pitchers Chad Cordero, Brian Fuentes, Todd Jones, Brad Lidge, Joe Nathan, Scot Shields, Huston Street, Mike Timlin, Billy Wagner, Dan Wheeler. Catchers Michael Barrett, Brian Schneider, Jason Veritek. Infielders Derek Jeter, Chipper Jones, Derek Lee, Alex Rodriguez, Mark Teixeira, Chase Utley, Michael Young. Outfielders Johnny Damon, Jeff Francoeur, Ken Griffey Jr., Matt Holliday, Vernon Wells, Randy Winn. There is your 30 man roster baseball fans now collectively we should wish them well. May good weather be their companion for it's so early in the season. Formation of a new entity of baseball competition brings us full circle to make a possible realignment of our very own major leagues. Let's take a break from the Baseball International Series 2009 and take a tongue in cheek but yet candid look at a call to mix and match our own competitive series. New subject and new thought Let's Revamp but I want you all to remember you heard it first right here. Something seems out of balance with 16 teams in the National League with 14 teams in the American League and why? Here is my bombshell for fans to consider. Propose that the Houston Astros of the National League's Central Division move to the West Division of the American League. Here is the kicker not only does it make for balance it sets up a natural in State rivalry for Pennants each year. Betcha bottom dollar revenue enhancement would build. That's All Folks! stay tuned for further info. My next hit will bring use folks up to snuff on the playing stadiums. It could be a real whammer jammer doozy! Baseball International Series Lingo/vocabulary turns local.The Alabama Class 6A Jefferson County High Schools Baseball Tournament beginning February 20, 2006 will also include Shelby County Teams. Here is the punchline. In the past local team tournaments were paired by referring to them as Area or Region tournament teams now they are paired into Pools i,e Pool 1 and Pool 2. Vernon Wells--Team USA outfielder Center fielder of the Toronto is reported to have an injury to his left leg. Will probably miss round one of the Baseball International Series. A scattering of News items from around the country would indicate that all is not well in Camelot. Issues... Players absentee from home league and teams early season..,Spread of monies to be shared...Player concern about pay back/reprisal from Team Owners/Managers. Seems that all the Big Moneyed Boys did not really anticipate the far reaching ramifications that are now cropping up. Stay tuned this will be vary vary ii.nn.tt.eresting. Huston Street one of the closing pitchers chosen for USA Team was the American League Rookie of the year this past season. Young players should tuck this name into memory bank of "to watch players". He might be one of our future Cy Young Winners. 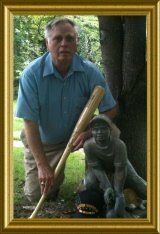 Local Birmingham News sports writer lets World Baseball Classic hoopla get inside his head. Byline reads "High School Spring Sports Roundup". Headline reads Oak Mountain first Shelby team to win Jeffco Baseball Tournament". Two (2) Shelby County teams competed in the championship game to win the tournament. Shelby County school wins the Jefferson County Class 6A baseball tournament. Team wins first region win in the process. Shelby County team won one Pool a Jefferson County team won the other Pool the champion was decided by round-robin finals. What was it, "A County Tournament, An Area Tournament,A Pool of Teams,A Class 6A Size School Tournament,A State of Alabama AHSAA sanctioned Tournament?" World Baseball Classic here we come like it or not the International lingo of "Round Robin" and "Pool Play" is taking the day. Fans the Baseball International Series 2009 starts full blast this coming week. C C Sabithia is being replaced by Al Leiter on the team USA roster for pitching. Vernon Wells an outfielder has had surgery and is out. Baseball Owners still are hinting of concerns about the physical and possible injury to World Class Players. MY Baseball News page will provide the latest on Baseball News from around the Globe. Don't be left out join us there daily or even on the hourly ----Whats happenning when its happenning. Today is history making day for American Baseball! USA Team plays its' first game in an International Series against a team from Mexico in Phoenix, Arizona at Chase Field. 1st round play is 7,8,9,and 10 Mar. 2006 Winners and Runner Ups will advance to the 2nd round of play commencing 12 MAR. 2006. Go USA we love a Winner ! So Play Ball.. Baseball International Series 2009 yesterday continued play in a tournament of World Class players yearning to prove to the World they are deserving of recognition as the World Class Champions of a Baseball International Series 2009 competition. Team USA was outscored by team Canada by a score of 8 to 6. There were heroics in the game worthy of particular note and should have been proclaimed in Banner Headlines. That's assuming you are a baseball fan and really give a rip about what is happening in the World of Baseball. Highlights of the game: Adam Stern team Canada 1: hits an inside the park home run 2: Same player Adam Stern team Canada caught a potential game saving catch at the 407 ft mark in the eight inning. 3: Jason Veritek team USA with the score 8 to 0 hit a 448-foot grand slam. 4: Team Canada playing with predominantly minor leaguers came to play. The birds are chirping boo birds or Blue birds. Let's Play ! AT the conclusion of tonights play Eight (8) teams will remain in tournament competition in this Baseball International Series 2009 currently called the World Baseball Classic by sportswriters across the country. Now there are two pools playing in the 2nd round. Pool 2: Cuba, Puerto Rico, Venezuela, and Dominican Republic playing in Hiram Bithorn at San Juan, Puerto Rico. 12 to 15 March 2006. Rules of competition were modified for these games ie score differintials of games entered into determining which teams advanced to round two (2). Another modification was the limitation on number of innings a pitcher was allowed to pitch. This modification made sense in that it was designed to protect all pitchers arms . Keep in mind that March is early part of Baseball season and many of the best pitchers should slowly develop throwing strength in those arms instead of Wham here goes. Eight (8) teams advance to continue play in the Baseball International Series 2009. United States,Mexico South Korea,and Japan start Round 2 of Play as Pool #1 First game is Sunday Mar. 12 at Angel Stadium, Anaheim,Ca. Puerto Rico,Cuba, Venezuela,and Dominican Republic start Round 2 of play as Pool #2 First game is Sunday Mar. 12 at Hiram Bithorn San Juan, Puerto Rico. Readily available information about the tournament has been scarce at best. Almost as if so what who cares? What an attitude for sports coverage for a team representing our Great country United States Of America. Some rules info: Pitchers are limited to 65 pitches then must be relieved. A team ahead by 10 runs at the conclusion of 7 full innings of play the game is over. It is called the " Mercy Rule". I do not know if this mercy rule will apply during the 2nd Round? Root for our Team USA ! Round 2 has begun for the Baseball International Series 2009. Round 2 started however, baseball sporwriters around the country have gone on vacation they may return when Basketball season concludes but don't you bet on it because then it will be time to relax before Football gets underway. There is a team "A Baseball Team" representing the United States of America playing in what has been misnamed a World Baseball Classic. Find me some or A sportswriter that is reporting this event in detail and I will show you someone that will be on the bread line soon for Newspaper Editors and Newspaper Owners have chosen to basically ignore the most basic reporting of the event. My bad in that my capacity to get timely and complete info is limited and my info to you is truly limited. USA team fell to Korea 7 to 3 in their last outing. so its just as well no one know this about our team. If a loss embarrasses a winner then it best to fold his tent and go back to mama. Pool 1 Round 2 Winner and runnerup will not be decided until after USA and Mexico game Thursday night 16th mar. Pool 2 Round 2 has Dominican Republic advancing to the Semi-Finals. Cuba and Puerto Rico play 7:00 PM EST 15 Mar. 2006 advancing team from this game to be determined by winning margin score if Cuba wins, Puerto Rico advances if they beat Cuba. It is complicated by rule of victory score margins for final determination to break ties of won and loss count. Three teams are set for the Semi-finals of the Baseball International Series 2009. Fourth team will be decided after the USA-Mexico game tonight. Dominican Republic vs Cuba 2 p.m. Sat. Mar. 18th South Korea vs ? 9 p.m. Sat. Mar. 18th Japan Games to be played San Diego, Ca. Mexico defeated Team USA in final game of Round 2 of Pool 1. Games are scheduled to resume in 2009 at the conclusion of this inaugural set of games. Today marks the 73rd birthday of my two (2) oldest brothers. Bill and Bob 73, and Baseball International Series 2009 which is only an infant, what a time to enjoy the first Championship set of games, to crown a winner, at conclusion of Monday night's game. Who will it be? Cuba, Dominican Republic, Japan or Korea. You will probably see a packed stadium both tonight and Monday night. Folks earlier into my article here on this Baseball International Series 2009, I had referred to the intensity of baseball fervor, in the Latin America countries and how the Pacific Rim countries were coming on strong. Now you see it for real, here we are in the finals of a most momentous occasion in all of Baseballs many storied years, and look what we have? A showdown of ball playing people which showcases the love for this game of both players and the fans. I have so much more to follow on data that I just must bring you. It will carry me right on into our next games (2009) of this Baseball International Series. I want to post some of the statistics about this Series. This initial opening Series saw us all clamoring for scores, statistics and other facts. These shortfalls will be ironed out prior to the next Baseball International Series of 2009. An example: remember I was intent on following and reporting about Randy Winn a switch hitter whom I had simply picked at random (mainly because he was a swith hitter) to see how he fared through out the games. My paucity of good up-to-date info causes me to say please excuse me. I'll try to make it up for you by posting as much post series gems of info as possible. Stay with me for this thing has only begun This pride of game and pride of country will grow in Intensity and Rivalries reminiscent of those glory days of Dodgers, Giants, and Yankees and they were only across town thing but boy was that pride high now we have reached Baseball International Series standby good fans. Japan wins inaugural Baseball International Series 2009 of games which was called a World Baseball Classic Series by the forming body that financed and promoted the games. Final score was Japan 10 vs Cuba 6. Hank Aaron the all time home run hitting leader of United States of America threw out the ceremonial first pitch to begin the championship game. He was joined during this momentous occasion by Sadaharu Oh. Mr. Sadaharu Oh is Mr. Baseball Of Japan he hit more homeruns than any player that has ever played this game of baseball. Aaron and Oh hit a combined total of 1,623 home runs between them. Hammerin Hank hit 755 homers total and Oh hit 868 homers total I tip my cap too these greats of baseball. In a tribute to the winning team of Japan I will share a small bit of trivia with you baseball fans. Japan is an Island country as a result rain and moisture is a prevalent almost every day occurrence climate wise. To play baseball in Japan necessitates using a rubber coated ball. Just as in America we use a rubber ball in playing basketball outdoors. While in America we may use rubberized ball to teach and practice our younger players in Japan the ball used every day on the playing fields is a hard but rubber coated ball. Incidently this ball is a livelier ball, its bounce is significantly different, than a regular leather covered baseball. To my friends in Japan and in particular down in southern Honshu and Iwakuni I say congratulation upon winning the Baseball International Series 2009. I do know that the polite way is to say to the people of Japan is congragulation to my Nipponese friends. Fanfare of the baseball world looking to a World Baseball Classic as a Baseball International Series 2009 or wondering if Baseball Was American? The Baseball International Series 2009 has done it's inaugural play as a World Baseball Classic during 2006 and now returns during March 2009. The World Class Games will probably be with us for some time. Baseball International Series 2009 or World Baseball Classic which will it be? Somewhat like the classical story when the door swings open which will it be "The Lady" or "The Tiger." For more of my thoughts on this is it Baseball International Series 2009 or is it really a World Baseball Classic? Return to Top of Baseball International Series 2009 or if so deemed will become World Baseball Classic. Have you ever had the itch to play in a Baseball International Series 2009 and also to have your own Web Site? SBI! SBI! provides Awesome results...Here's the Proof! Shop With Winning Merchants Here. You know you would like to have a website so you are willing to know how Solo Build It could be a swell partner in this endeavor. Site Sell and Solo Build It! is made available for all of you even in the proper language. International in scope and language this Baseball International Series 2009.